We were determined to hold the sixth edition of the festival on time, linking it to our annual commitment and loyalty to the values represented by cinema in our vision; the values of resistance, enlightenment, criticism, expression and beauty. We were keen on this, in the context of our interest in the integration of all these roles within society. 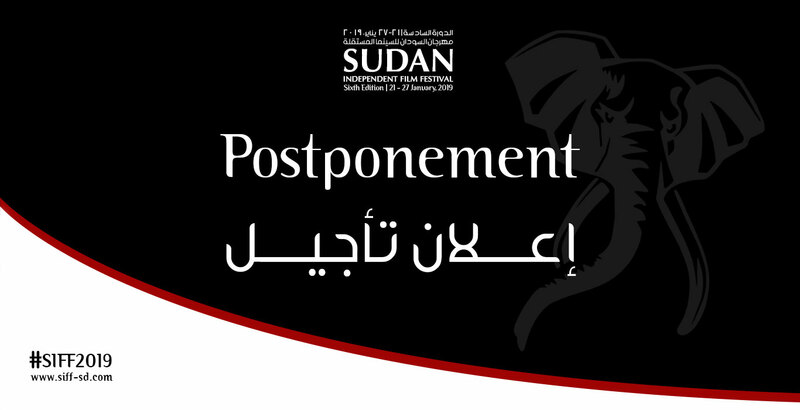 With the rapid escalation of events and the continuation of the public movement, the festival organization team cannot but respect this call, listen to it and give it way, by announcing the postponement of the sixth edition, which was scheduled to take place on its annual date on 21 January, to the near future. We express our full solidarity with the rights of our people to a dignified, humane life for its elderly, youth and children. Our most sincere condolences to those we have lost and gratitude to those who are absent. Sudan Independent Film Festival Team. Share your feedback on our social pages.